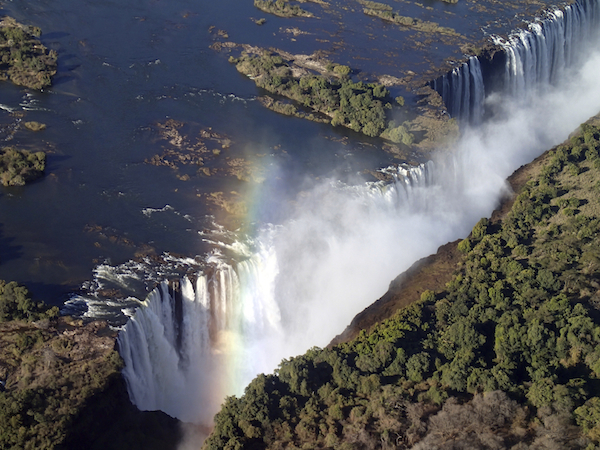 One of the natural wonders of the world, Victoria Falls straddles the border between Zimbabwe and Zambia. Aside from just visiting and walking around the park where the falls can be found, there are lots of other activities to do in the area. Here then are my best tips for visiting Victoria Falls from Zambia. Victoria Falls truly is awe inspiring. During the dry season thrill seekers can soak in the Devil’s pool. 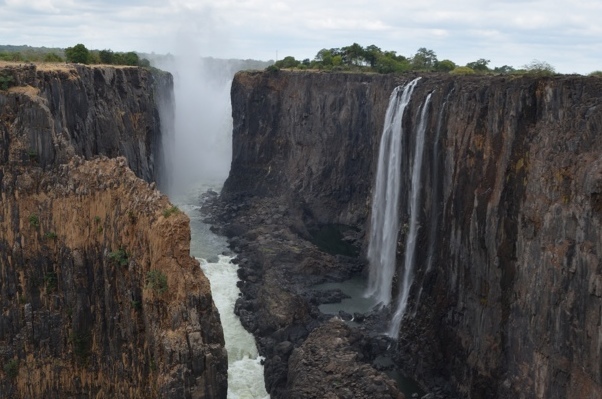 Photo courtesy Charles H.
There is also a model of the falls on the Zambian side, with information placards, stalls where local artists sell souvenirs, and even a statue of David Livingstone, the Scottish explorer who named the falls after Queen Victoria. Livingstone Island, the town of Livingstone and many of the lodges and hotels nearby are named after him. 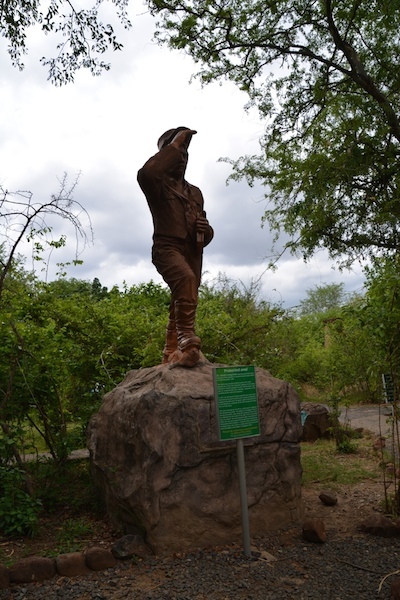 Visit the statue of David Livingstone. The falls are at their driest in November and December. 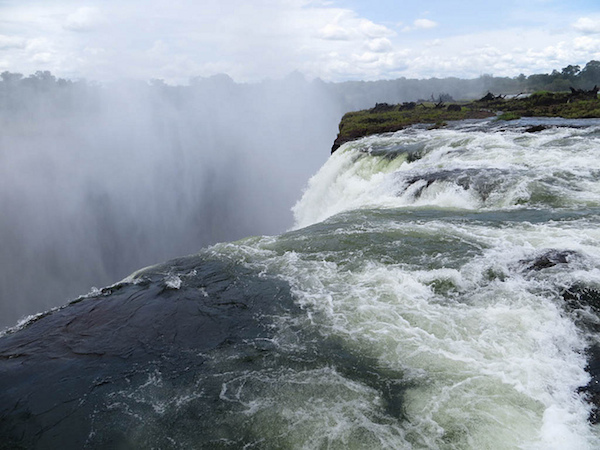 This is partly due to the weather and also largely because of a Zambian hydro-electric plant that harnesses the power of the falls to power parts of the four surrounding countries. The falls are at their mightiest in March and April, when so much mist is created that it’s almost impossible to see them when you’re on foot. Instead, you see only a big white wet cloud and you get soaked. The best way to see the falls at this time is by plane. No matter what time of year you see them, bring a change of clothes because you’ll get wet. Dry season peak months are November and December. The river that creates the falls is the Zambezi River and there are many companies that offer sunset river cruises above the falls each evening. Music and drinks are provided and it is a nice and relaxing way to enjoy the river. You’ll also likely get the chance to see some hippos in the wild hanging out in the water. 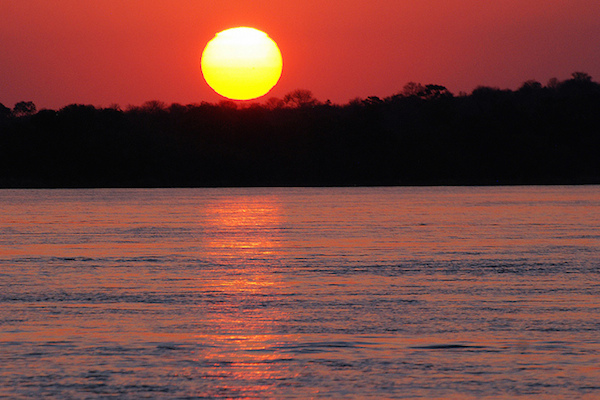 Take in the sunset from the Zambezi river. Photo courtesy Harvey B. 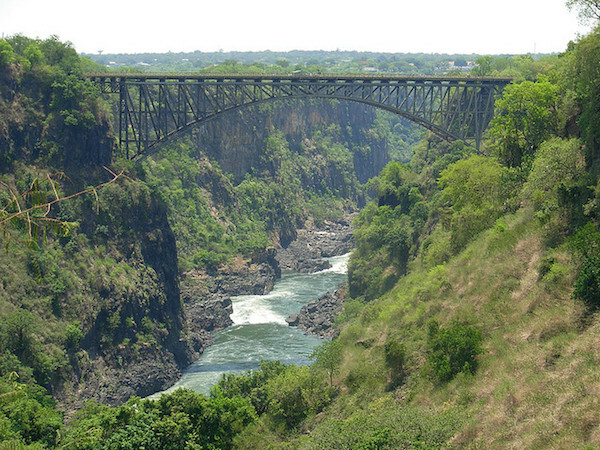 Between the borders of Zambia and Zimbabwe there’s a large “limbo” area where you must cross over the Victoria Falls Bridge to get from one side to the other. You can also risk it all and go bungee jumping from the bridge, ride a zipline from one country to the other or do a bridge swing. Bungee jump over the Zambezi river. Photo courtesy Yuen P.
There are also a lot of other activities to do in the area, with an abundance of wildlife. You can watch for baboons at the border and even take in a safari game drive to see elephants and rhinos, lions and more. Whichever activities you decide to try, the Victoria Falls area has something for any type of traveller and you’ll definitely enjoy your time at any time of the year. Do you think there was anything I missed? What would you recommend?